If you think you're no longer allowed to deduct items like charitable donations on your income tax return, think again. The new tax law doubled the standard deduction, slashing the number of Americans eligible to itemize deductions from 37 million to 16 million. However, if you are among those who will lose your ability to deduct charitable donations, there is a simple strategy for managing the new limits on charitable giving, and it enables you to continue doing good while doing well for yourself by reducing your tax bill. The strategy is simple: bunch a few years of donations into a single tax year instead of making them annually. Rather than report charitable donations on your tax return every year, you bunch two or more years of contributions into a single tax year — enough to boost the charitable total above that year's standard deduction. Say you're married and you give $10,000 in Year 1, $6,000 in Year 2 and $10,000 in Year 3. Your $26,000 total surmounts the $24,000 eligibility. 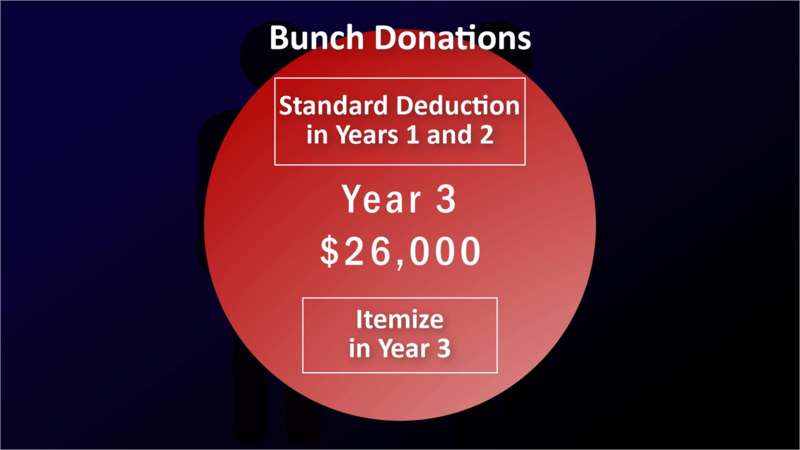 If you deduct the total donations of $26,000 in Year 3, you can take the standard deduction in Years 1 and 2 and itemize in Year 3. 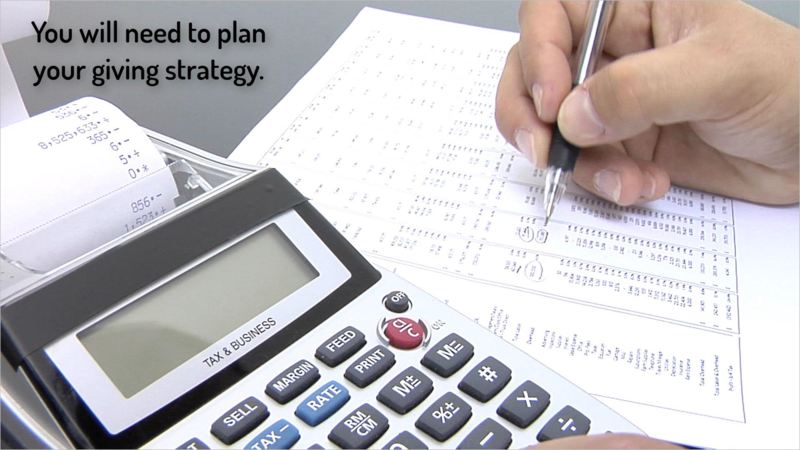 Instead of giving in dribs and drabs, you will need to plan your giving strategy, but this will allow you to give as much as you used to before the limits without losing the tax benefits. And if you can plan to make the larger donations in a year when you expect higher income, bunching charitable donations can be even more effective in lowering your tax bill. We'll be speaking with clients about this in the months ahead because this tactic does take some planning in advance. If you have any questions about your personal situation, please do not hesitate to give us a call. Your Alma Mater Or Your Family?